Prof. Greg Marsden. Greg is Professor of Transport Governance at the Institute for Transport Studies at the University of Leeds and co-ordinates the mobility research within the DEMAND Centre. His research looks at why policies get considered, promoted, adopted and implemented (or not) in the way they do and the role of institutions and governance within that. He has a particular interest in thinking beyond traditional sectoral silos and in understanding how to reframe the debate on demand futures. He has worked as a Committee Specialist and Advisor to the House of Commons Transport Select Committee and recently led a review of demand futures for the European Parliament. He chairs the Commission. Elaine Seagriff. 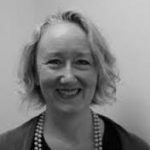 Elaine was Head of Policy and Strategy for Transport for London (TfL) until autumn 2016. Apart from a brief spell in California working on light rail and strategy, she has worked in the planning and provision of transport in London for over 25 years – covering major urban development, evaluation and monitoring of major investment projects, area-wide strategies for central, inner and outer London, integration of transport and land use planning policies and the development of all aspects of strategic policy. Most recently she has been focussed on the development and execution of the Mayor’s Transport Strategy and the transport elements of the Mayor’s spatial development strategy, which set out long-term challenges, agreed goals and sets policy priorities and the vision for the transport system for the next 20 years. Prof. Peter Jones OBE. 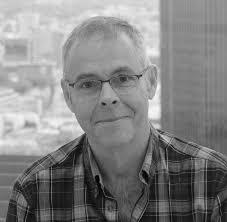 Peter is Professor of Transport and sustainable development. His PhD, DIC (Engineering) Thesis from Imperial College was entitled: ‘The development of a new approach to understanding travel behaviour and its implications for transportation planning’. 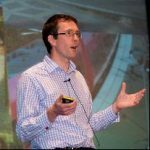 Before joining UCL in 2005, Peter was director of the Transport Studies Group at the University of Westminster where he carried out numerous research projects funded by organisations including the Department for Transport, the European Commission, the Joseph Rowntree Foundation, and BAA. He is a member of the Independent Transport Commission, the London Roads Task Force and is the UCL Grand Challenges Sustainable Cities theme leader for Transport & Sustainable Mobility. Dr. Nicola Spurling. 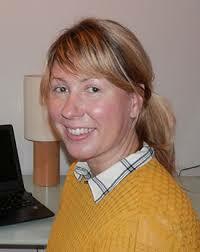 Nicola is a Lecturer in the Theory and Method of Social Futures at Lancaster University. Her research explores and develops everyday futures and their implications for energy and transport demand, drawing on futures research and social theories of practice. She is interested in how working lives, daily lives and everyday mobility have changed since 1950. Her current focus is on how planning practices make and shape demand for energy and mobility. She has previously worked in The DEMAND Research Centre at Lancaster University, and the Sustainable Practices Research Group at the University of Manchester.